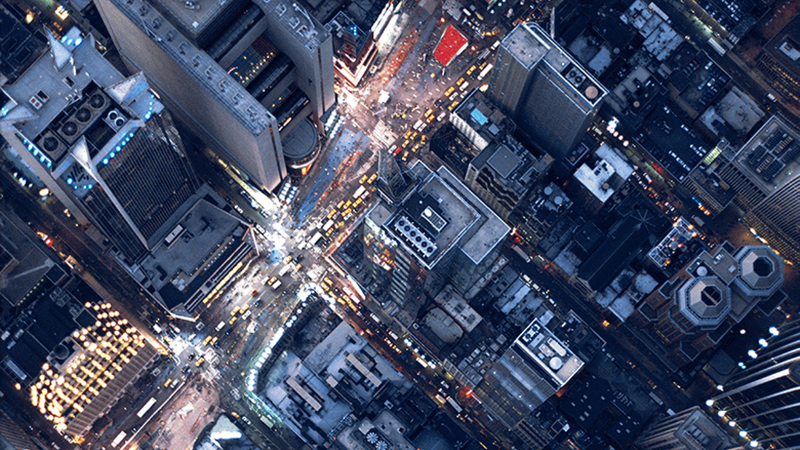 Think shopping, think New York – but it doesn’t start and stop on the boutiques and department stores of Fifth Avenue. 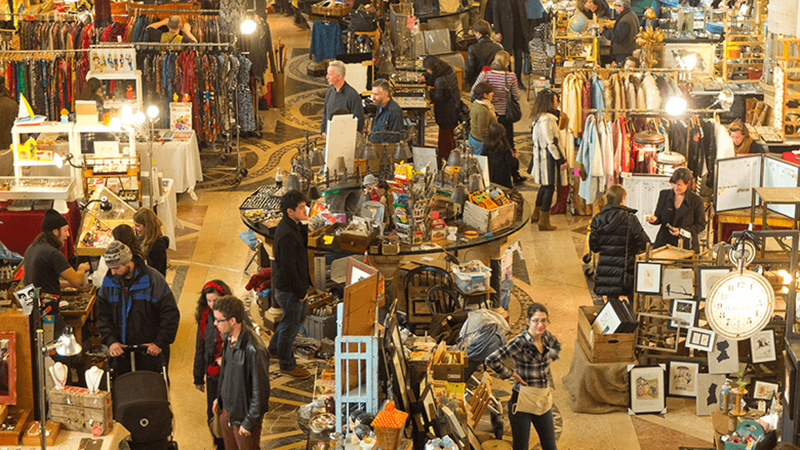 The Brooklyn Flea takes place twice a week – in Fort Greene on Saturdays and achingly hip Williamsburg on Sundays – and has a huge variety of vendors stocking everything from vintage clothes, jewellery and homemade crafts to antiques and old records. Vendors rotate, but try to track down Bad Postcards for brilliant – and sometimes brilliantly bad – vintage postcards from the mid-20th century. Predictably, being in Brooklyn, it’s also a good place to wolf down some of the best street food in NYC and, by extension, the whole of the US. You’d think if there were a bright red lighthouse in the middle of NYC we’d all know about it – well there is, yet somehow we don’t. 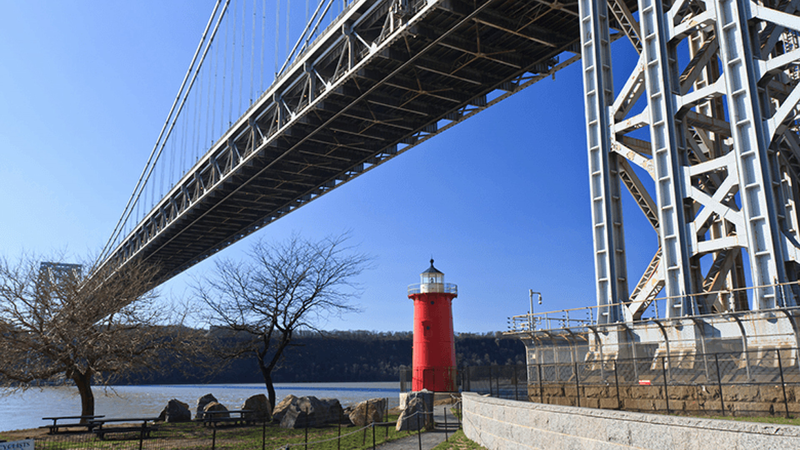 The Jeffrey’s Hook Lighthouse is tucked away on the north shore of Manhattan, under the shadow of the George Washington Bridge, and though it was due to be demolished in the 1950s, it still stands proudly on the banks of the Hudson today. You can climb the iron stairs to the lantern room at the top, where the lens still functions – useful to know, just in case you’re planning on sailing your boat past at night. Sure, you can watch films outdoors in London, too, but much as it pains us to say it, you just can’t beat the views from the Manhattan shore out along the Brooklyn Bridge, with some of Manhattan’s oldest architecture as a cinematic backdrop. South Street Seaport, in downtown Manhattan, screens free films throughout the summer, with food trucks, pop-up bars and DJs before the screening. Get there early and bring something comfortable to sit on if you’re planning on sticking it out to the end of the show. 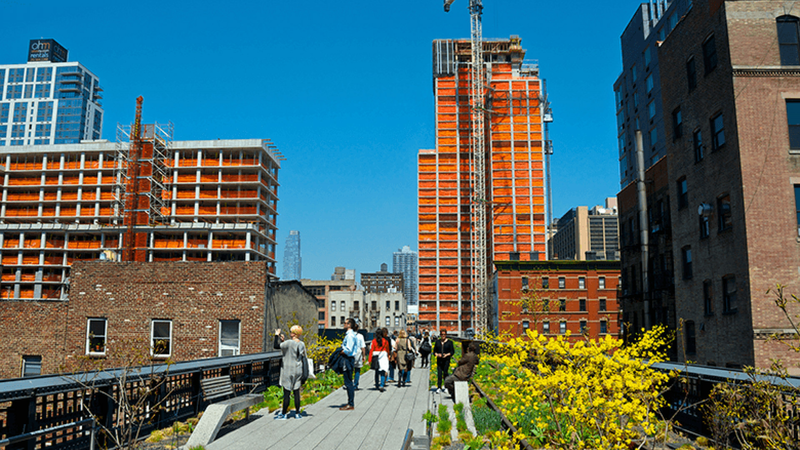 What do you do with a disused bit of freight train line that once carried goods above the streets of the Meatpacking District, Chelsea and Hell’s Kitchen? You turn it into an urban park, of course, and in doing so create a trendsetting piece of green space sprinkled with flowers, art installations and relics of the old railway. Amazingly, 161 out of the 210 plant species in the first section of the High Line are native to New York. 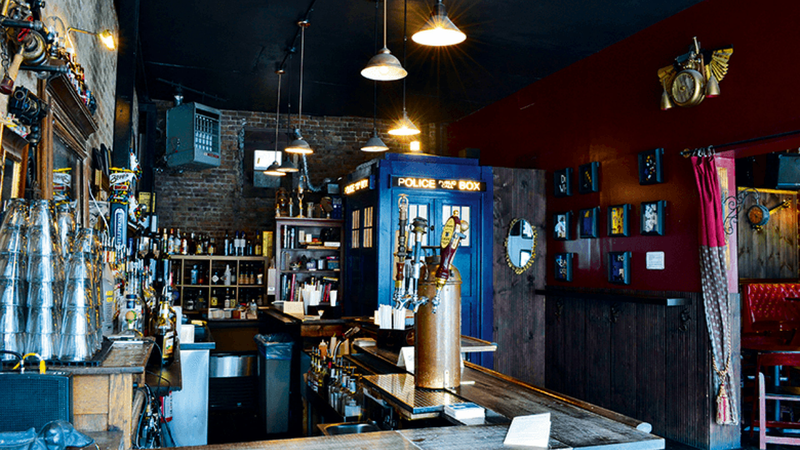 A bar in New York might be the last place you’d expect to find Doctor Who’s preferred mode of multi-dimensional transport, but Brooklyn’s the Way Station is home to exactly that. Described by its owners as a ‘Nerdvana and Music Venue’ the Way Station’s more than just a geek novelty with a Tardis that doubles as the entrance to its toilets – check out its cocktail list, including the inevitable sonic screwdriver, a Who-themed twist on a classic. New York has some of the best hotels on the planet. Speak to a Virgin Holidays + HIP Hotels guru to book your perfect trip. To book, go to vhiphotels.co.uk, call 0844 573 2460 or book an appointment with a Travel Guru.